Medical Assistance or Medicaid is a health care program that provides financial assistance for people who is in the low income level group to get medical care. You have to understand that because of the continuing rise in cost of medical care, low income families often cannot afford high quality medical care. For this reason, the congress has created Medicaid where it is funded by both the state and the federal government. However, the state government is the one that handles most of the features about Medicaid. What this means is that the state government is the one responsible for setting the eligibility rules, the requirements, the benefit packages, and other features that concerns Medicaid. 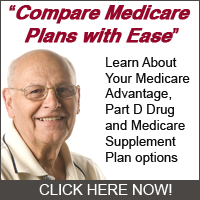 â€¢	Supplemental coverage for low income beneficiaries of Medicare. Medicaid can cover the payment for Medicare premiums, cost sharing, and also the deductibles. So, if you have Medicare, you can still apply for Medicaid and take advantage of some of the health care benefits it offers. â€¢	Medicaid can also provide long term care for older Americans and low income individuals. What this means is that nursing home care and even mental health care can be covered by Medicaid. If you or someone you know is staying at a nursing home or at a mental health facility, Medicaid can cover the cost. â€¢	Another primary coverage that Medicaid can provide is health care for low income families and individuals. Children living with low income families, low income individuals and people with physical and mental disabilities can be eligible for Medicaid provided that they meet certain requirements set by the state. You have to understand that Medicaid offered in Maryland is quite different from what is being offered in other states. However, it only differs in terms of the benefits that people get and the rules and eligibility requirements are also quite different. In every state, the categories are never quite the same. In Maryland, Medicaid covers people who fall into specific categories or groups, such as low-income families, women with cervical cancer or breast cancer, and pregnant women. Low income elderly as well as the disabled may also be eligible for Medicaid in Maryland. People who fall into the category who receive money through SSI or Supplemental Security Income and TCA or Temporary Cash Assistance can automatically qualify for Medicaid in Maryland. These groups of people do not actually need to apply for Medicaid. Other benefits covered by Medicaid in Maryland are nursing home care and other expensive medical expenses, provided that the person receiving the treatment has low income or lives with a family that has a low income level. If you do not receive SSI or TCA, you will need to file an application. Here, you will be able to find out if you are eligible or not. To apply for Medicaid, you may want to go to the LDSS or the Local Department of Social Services near the area where you live. If you are applying for your children or you are pregnant, you may want to apply at your Local Health Department or at the LHD. These are the things you have to know about Medicaid being offered in Maryland. With Medicaid, you will be able to find financial assistance in your medical needs.